In this short article, I explain briefly what the triaca was, what relationship it had with the Nasrid sultan of the Alhambra, Yusuf II, who governed only nine months (1391-1392) and how he was poisoned with bergamot. What is the triaca and what was it used for? It was a compound of vegetable, animal or mineral origin, where many different ingredients, most of them secrets, met to fight numerous diseases and bites of poisonous animals. The triaca was used in times before Christ as an antidote against many poisons. It came to be considered as the universal panacea, that is, as a healer of any disease. So it became a powerful drug, which could only opt for the richest of society at the time and whose secret, only knew the best doctors of the time. The ingredients were changing according to culture and time. Although some components have not been identified yet, but the most common were opium, ginger, valerian, rhubarb, myrrh, gum arabic, and many others. It is said that the origin of the triaca was the mitridato that was used by the King of Pontus, Mithridates in Asia Minor, to protect himself from possible poisonings. He took all kinds of substances and when Pompey defeated him, he tried to poison himself without success because he was already immune to all kinds of substances, so finally, he ended his days dead by one of his generals who asked him to cross him with a sword. Moving our history to the Muslim period, we know that the triaca was used on numerous occasions in the Nasrid court, since many of the sultans of this dynasty between the XIII-XV century were poisoned. Among them, it is said that Yusuf II, who briefly reigned between 1391 and 1392, was poisoned with bergamot, and the doctors of the time tried to save him using the famous triaca, but there was no possible remedy. Many wonder how such a poisoning took place, with the bergamot fruit, coming from the Calabria region, in southern Italy. It is a fruit similar to orange in its touch of acidity and bitterness. From the scrape of its cortex extracts the essential oil that has numerous applications, among them the aromatizing black tea, like the earl tea, or to cure problems of the digestive system like colics, parasites or in case of difficult digestion. But you have to be very careful because it is photosensitizing, and, precisely because of this property, they discourage sun exposure, because it can cause severe burns. In this way, Yusuf II was poisoned, in an original way, leaving no trace, in the form of a gift, but a poisoned gift. So, the gift came in the form of a luxurious garment, previously sprinkled with abundant bergamot essential oil. The gift mysteriously reaching the court, and went to the hands of the sultan, who after trying on these clothes, became ill and his body was covered with burns. The clothe rich in silk and gold was a temptation too big for Yusuf that he could not avoid and he put it on. The most prestigious doctors were called to try to heal him. They tried to use the famous triaca which, of course, did not work, and after a few days he died. 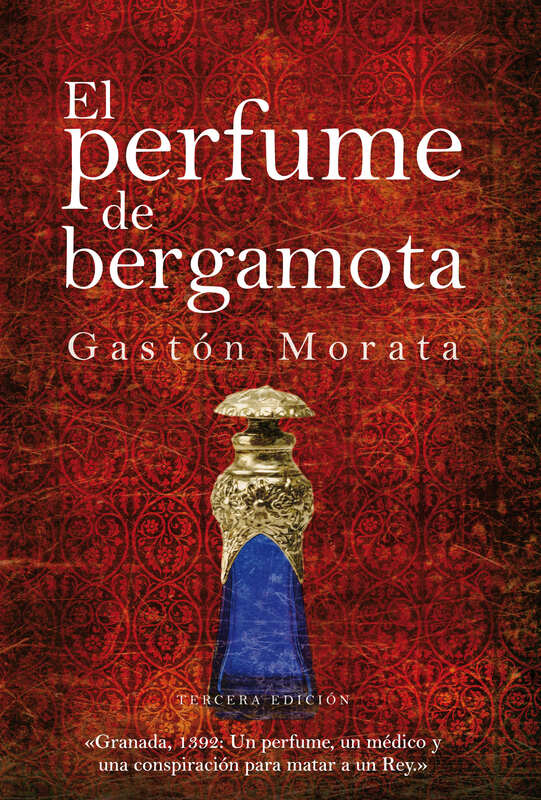 There is a wonderful novel by Gastón Morata, “the perfume of Bergamot” that tells us in a delicious way, the death of this sultan, how the plot was hatched and how it got poisoned. I recommend reading the novel, very well taken, entertaining, very well documented. In the book you can discover the Nasrid dynasty in Granada. The famous Nasrid court was full of intrigues, poisonings and palace conspiracies. Currently, this essential bergamot oil is used highly in perfumery. Today this oil is taken by a third of the perfumes used by men and half of the perfumes used by women.